How to add Strategy and Tactic Planning Details? ‘Strategy Details’ needed to define the ‘Milestones’ of the project plan to implement the S&T. Select the node for Strategy Planning. Using the left-hand Planning menu (or on computer, right-click node) to select Strategy Planning. Start by entering the “Strategy Details” needed to define the “milestones” of the project plan to implement the S&T. 1. Select the node for Strategy Planning. 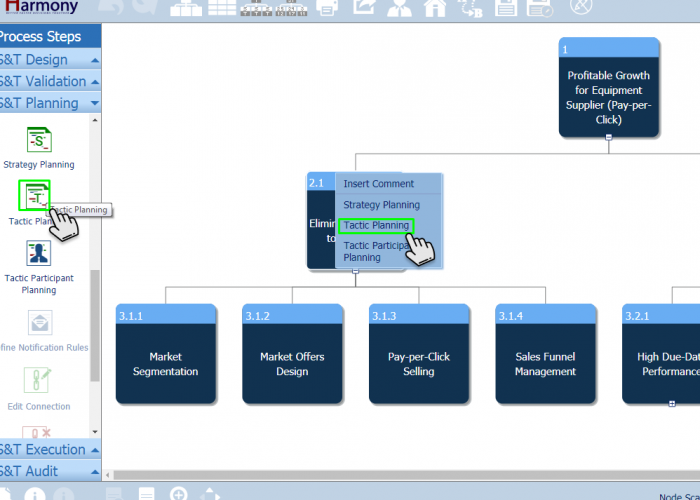 Using the left-hand Planning menu (or on computer, right-click node) to select Strategy Planning. 2. Start by entering the “Strategy Details” needed to define the “milestones” of the project plan to implement the S&T. 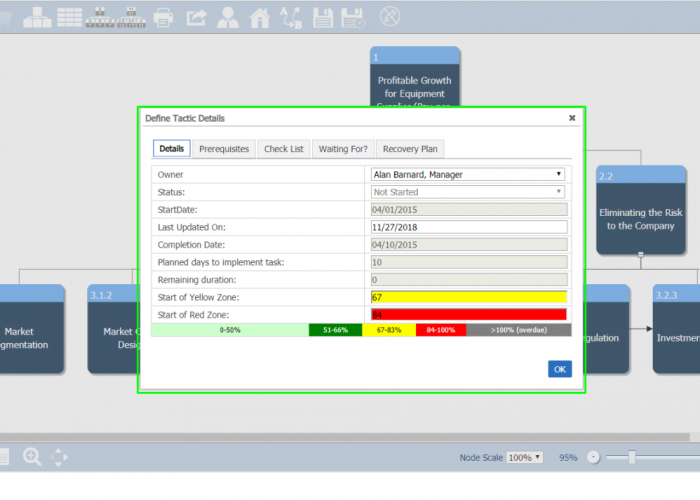 ‘Gantt Chart’ to implement the S&T. Select the node for Tactic Planning. Using the left-hand Planning menu (or on computer, right-click node) to select Tactic Planning. 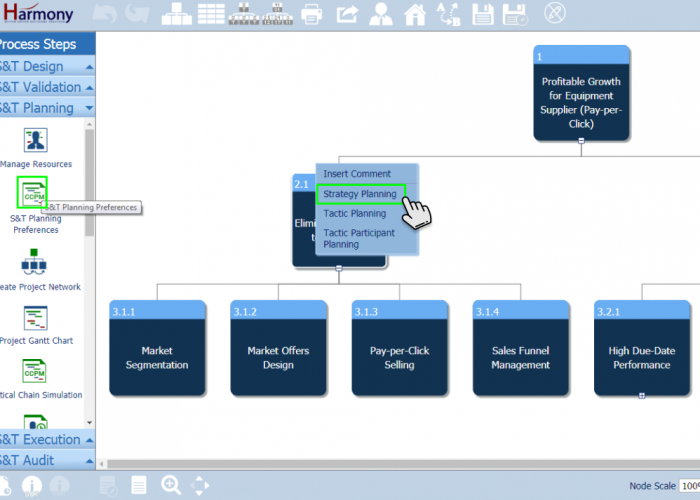 Add the Tactic Planning details that will be used to create the Project network and Gantt chart to implement the S&T. 1. Select the node for Tactic Planning. Using the left-hand Planning menu (or on computer, right-click node) to select Tactic Planning. 2. 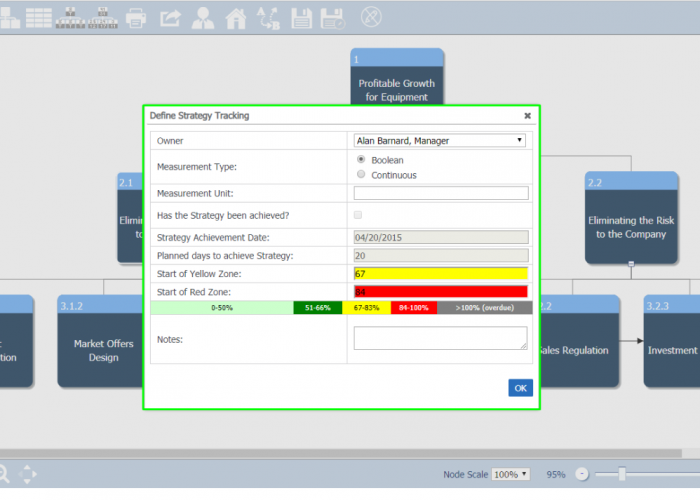 Add the Tactic Planning details that will be used to create the Project network and Gantt chart to implement the S&T.